A mom in Dublin remembered her devastation after finding out her daughter had a brain tumor at the age of only two and a half years. Yvonne Shannon of Pimlico brought her Ruby toddler to a general practitioner after vomiting her bottle of milk one morning in the morning, but she didn't know it was the way. She remembered, "I took her to the office and thought it was a viral infection." "After a few days, she failed, so I took her to Dub Doc. Little Ruby was brought to Crumlin's hospital for suspicion of meningitis – but this excluded urine testing. Yvonne said, "We went home and after three days in the house I took her out of the couch and started having a seizure. "Her whole body was shaking. Her eyes rolled on her head and she didn't react. "I panicked so much. It was scary. We called the ambulance and rushed to Crumlin." The brave little girl complained about the headache and urged to scan, which led to a destructive diagnosis. "For someone so young Ruby was incredible when he spoke and explained," her mom explained. "Ruby would say" Mammy, there is an ouch in the head! " "She was taken for CT and that's when they told me the worst news I've ever heard: my little girl had a brain tumor." Ruby went to surgery to get a tumor for Valentine's Day at the National Pediatric Neurosurgery Center at Temple Street Hospital. After more than eight hours in the theater, doctors were excited to confirm that the entire tumor had been removed – but a long way of recovery had come before him. "I had the best news of my life when they sat down and told me they had removed the whole tumor – the biggest Valentine's Day gift anyone could ever get!" Yvonne said. “After the operation, Ruby had to learn to walk again, sit down, everything. "A few days after the surgery, I brought her home before we returned to Crumlin Hospital where we started chemotherapy." 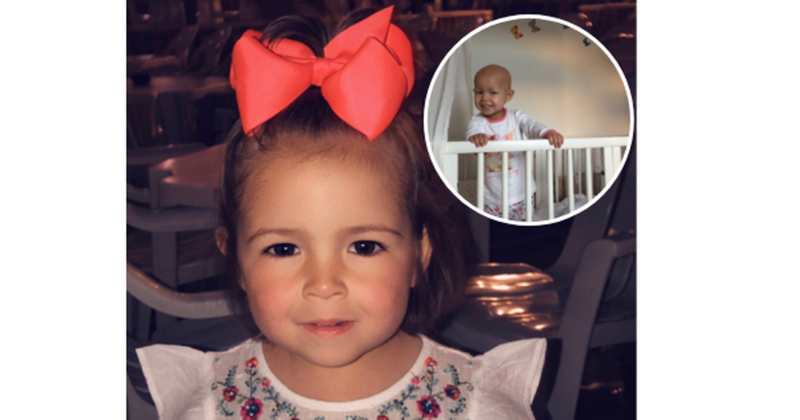 "We did about seven months of chemotherapy – even when the tumor was completely removed and Ruby was cancer-free because it was a class-4 tumor that she needed to go through a chemotherapy plan." Due to the impact of chemotherapy on the immune system, Ruby could not spend much time at home and family living in Crumlin for seven months. But fortunately every scan of Ruby has been cleared since he completed his course about 18 months ago and Yvonne says she changed her view of life. Yvonne said, "People are afraid of stupid things. We all do it. “It's only if you find yourself in a situation where you forget everything else. "The only thing that matters in the world is that your child is in order." “I don't care what he wants when he grows up. “I want her to be healthy and happy. "She is four years old at this point and thinks he's going to be an astronaut when he's older, so let's see how it goes!" A grateful mum called for greater awareness and investment in research through charitable organizations such as CMRF Crumlin (Children's Medical Research Foundation). Yvonne said, "It's a very heavy and lonely place to look at your sick child. Every time the doctor took her away, all I wanted was to take her back because I couldn't breathe without her. "When people go out and do something big or small to support a hospital and its research, it's a huge difference for people like me and Ruby." Here you can look forward to our main Facebook page. You can find our Instagram account here.